Home / All TV Shows / Almost Live! When will be Almost Live! next episode air date? Is Almost Live! renewed or cancelled? Where to countdown Almost Live! air dates? Is Almost Live! worth watching? 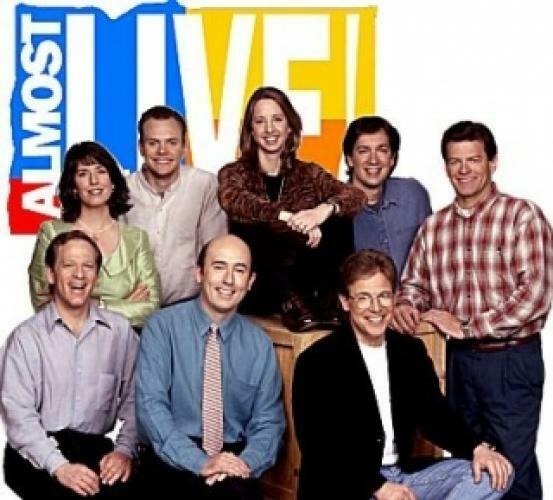 This show was Seattle's version of "Saturday Night Live"...but not live. It aired on King 5 in the late 80's and throughout the 90's. In 2005 they had a reunion show. The show aired nationally for a year or two on Comedy Central toward the end of its run. EpisoDate.com is your TV show guide to Countdown Almost Live! Episode Air Dates and to stay in touch with Almost Live! next episode Air Date and your others favorite TV Shows. Add the shows you like to a "Watchlist" and let the site take it from there.